The first Legacy was introduced almost 30 years ago, and now the seventh generation of the model has been presented in Chicago. Auto will be the most 'advanced' version of the Legacy for many years. The Japanese company will introduce in the car most advanced technologies, new equipment, active and passive security systems with communication systems. The model will please with a new design with turbo engines. Legacy is made on the newest base, which allowed driving a car more comfortable. The vehicle is much more stable when cornering. Salon turned out more soundproof. The engine compartment will consist of 2 units: a 2.5-liter motor with 182 hp and a 4-cylinder 2.4-liter turbo unit for 260 'horses.' The basic car interior has two 7-inch displays, and the top version has been added to the 11.6-inch screen. 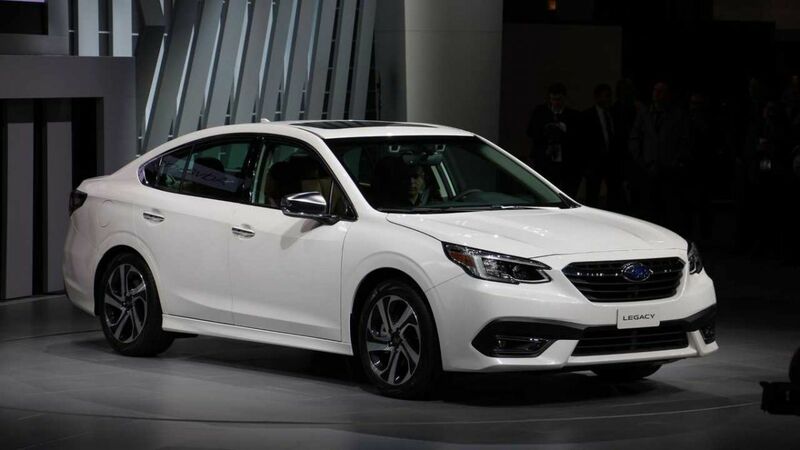 On sale, a new generation of Subaru Legacy will appear from this spring.